Premium Car Detailing- Beyond a Wash! 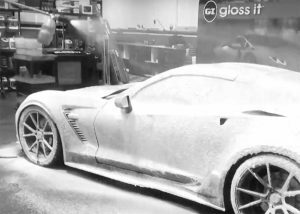 Gloss It’s interior/exterior car & auto detailing packages include the best surface recondition system available to successfully deep clean your vehicle. Our car & auto detailing services have been created with the Comprehensive Automotive Car Enthusiast in mind, and will and enhance and improve your vehicle’s protection during the course of the year. *Paint Correction is not included in exterior detail treatments 1 or 2. If the vehicle has heavy swirls, scratches, hard water spots or heavy road contamination / over spray must be priced in person with one of our gloss it team members. We recommend Level 1 and 2 Gloss-It Exterior Enhancement Detail Treatments every three to four months depending on if you are a daily driver or serious car enthusiast. These exterior Las Vegas car detailing treatments are our ideal for customers looking for high quality but also have a budget in mind. 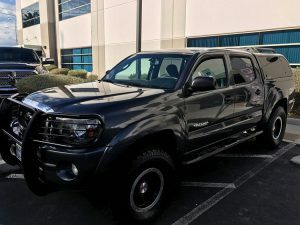 These services are the ideal application for enhancing and improving the vehicle’s protection during the course of the year and intensive dry heat climate of Las Vegas. Level 1: Entry level treatment that includes a 15 step Full Service Las Vegas Car Wash process, polishing and conditioning with the best Gloss-It premium wax. Level 2: 20 step wash procedure, clay bar treatment and carnauba wax for durability and enhancement. Gloss-It premium polishes and conditioners. Our Level 1 and 2 Interior Detailing Services are comprehensive and our detail staff is experienced with the exquisite and delicate surfaces featured on most luxury and exotic cars. It is important to use the correct Gloss-It Detail Products to maintain the factory finish and we use only the finest. Our Interior Car Detailing and Cleaning Options are designed to meticulously clean and detail all automotive interior surfaces exclusively with premium Gloss-It Interior Detailing Products. This is recommended as a twice a year treatment for vehicles used on a daily basis. Keeping your leather upholstery and vinyl surfaces clean and well nourished is an important step in protecting against the harsh weather elements found in Las Vegas. Level 1: This basic treatment includes cleaning carpet, upholstery, windows, floor mats, dashboard and center console. Level 2:Our Automotive Interior Detail includes deeper cleaning, stain and scuff removal, leather treatment and trim polishing. The Mini Detail is the best of the Express Treatments in Las Vegas – combining full service car hand wash, complete exterior cleaning, interior clean up and the protection of Gloss-It premium wax. Recommended: Upgrade to clay bar treatment for removal of heavy bugs and contamination. This avoids sealing imperfections under the protective wax and extends wax durability. Ive been here a few times for a wash. Owner Rich Light and his staff are very knowledgeable when it comes to detailing and detailing products. Had a small mishap with gloss it but the owner and staff have since taken care of it in a professional matter. From start to finish, I had such an amazing experience with Rich and the team at Gloss It. He told me what I would be interested in based on my needs, he didn't try to pressure me into any unnecessary services (he actually talked me out of services he felt I would be wasting my money on based on my needs), and he wasn't trying to sell me on any products either. 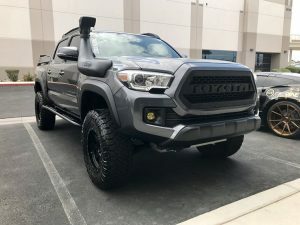 I brought my 2011 Toyota Tacoma in and Rich did a walk around of the vehicle. He made his recommendations based on his expertise and experience as well as my plans and budget. I was very comfortable leaving my truck with him. I picked it up the very next day and wow. The truck looked better than when I first bought it. This was by far the best state I had ever seen my truck. Every stain, every crumb, every smell, every strand of dog hair was gone from the interior. The engine looked brand new and the attention to detail on that front was simply amazing. I had some type of silicone I had driven over from a construction site that had become a permanent staple on the side panels as well as the wheel wells for years, but I had never been able to remove it. They did though. There were no traces of any of it. The paint on my hood had been baked pretty bad by the sun but they were able to make it look shiny and new. Overall, I was very pleased with every aspect of my service. I really needed a quick wash done for my next appointment but the only car wash spot i would use was closed for the day. Rich and his crew were more than willing to help me out on short notice. I'm very thankful they accommodated my last minute request. That speaks volumes to me about how he runs his business. Thanks again for the first class treatment today. The Gloss It team exceeded my expectations!! Go Beyond Washing & Waxing. Leave your vehicle looking Flawless. Protect your car with our Nano Ceramic Application Services. Every Car has a story. Whatever yours is, we are here to help. Our team works closely with leading Companies and Brands. © COPYRIGHT 2019 BY GLOSS-IT DESIGN & DETAIL STUDIO. ALL RIGHTS RESERVED. GLOSS-IT DESIGN & DETAIL STUDIO AND GLOSS-IT LOGOS ARE REGISTERED TRADEMARKS.